Home » Articles » Are You Suffering Abuse? Looking back at the early stages of my relationship with my abuser, whom I eventually married, I realize I got mixed signals. There were times I felt a little uneasy. But something would always happen to make me feel that it would be OK, like when my future husband would ask for forgiveness or bring gifts. At first, the scary moments would have long periods in between them, although I regularly felt under my abuser’s control. Yet, despite feeling uncomfortable on occasion, I would tell myself that my soon-to-be spouse loved me and that’s why he always wanted to be with me. I know now, 40 years later, that red flags were apparent in the months before my abuser and I were married. I was uninformed about domestic violence and had not seen the kind of behavior my fiance was exhibiting between two people who professed love to each other. At the time, however, I held onto my religious faith and believed that my life partner’s actions would change. I felt I would have a marriage similar to what I had seen among my devoted parents, who cared for one another deeply and exhibited no signs of abuse. Of course, this dream never became my reality. Ignores your feelings or disrespects you, as if it is all about him or her. Criticizes you or calls you names. Humiliates you in private and/or in public. Tries to control your actions, decisions, money or even what you buy, including clothes. Threatens to throw you out of your home. Harasses you about imagined affairs. Makes you feel like you can’t win. Questions your every move and motive for doing something or doubts your competence. Makes you feel like his or her awful behavior is your fault and manipulates your words. I told my children about my need to leave, and they supported me. I started making sacrifices and saved enough money for an apartment. I put some furniture in layaway. I found an apartment I could afford and accepted that it was not as nice as my current house. I went to the post office and put in an address change because I didn’t want to go back to the house for anything. I moved into my new apartment and took only my clothes, medicine and about three or four other items. When you have had enough and want peace of mind, material things no longer matter. You realize that the abuse will never stop and that you deserve better. If you don’t want to leave 98 percent of the items that are in your home as I did, you could perhaps confide in a friend or family member to help you get away. I did not go back. Every person has a different experience with abuse. The following websites are potential resources for help. To aid in preventing domestic abuse among younger generations, kids need to be educated early on about this type of violence. If they have never had exposure to it, they may not be aware of what abuse entails or how to spot warning signs and get help. Red flags for teen abuse are vital to recognize. I desperately want to make domestic violence education part of school curricula. For more information about teen abuse, visit LoveIsRespect.org or ACADV.org. The latter site for the Alabama Coalition Against Domestic Violence has a section on dating violence. Tweens and teens must know the warning signs of verbal and physical abuse no later than middle school. We want them to be confident and able to make independent decisions. If their self-esteem is not protected, it will be lost. Kids have to be ready before dating because this is a delicate time in life. Research shows that one in three teens is in or has been in an abusive relationship and 60 percent of college women have been in or are in ongoing abusive relationships. As an abuse survivor, Carolyn Bell Murphy is the founder and C.E.O. 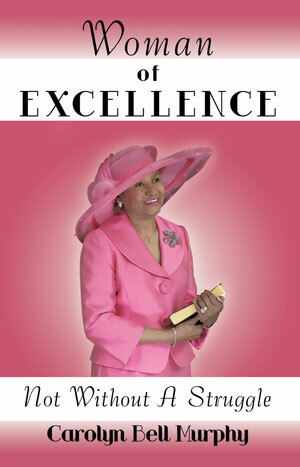 of Woman of Excellence NWAS, Inc. and the author of Woman Of Excellence: Not Without A Struggle (AuthorHouse). Passionate about raising awareness about domestic violence, she has spoken on the topic at various retreats, churches, women’s groups and universities. For more information about Bell Murphy or her organization dedicated to empowering women, go to www.womenofexcellencenwas.org.